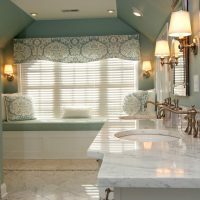 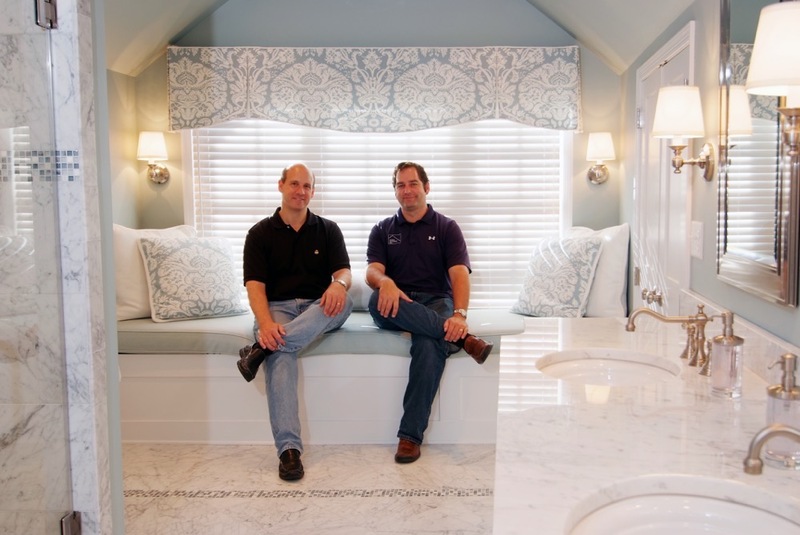 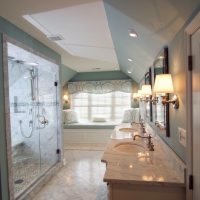 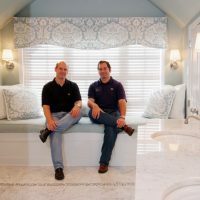 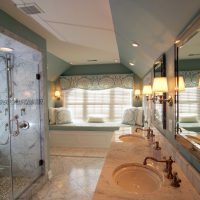 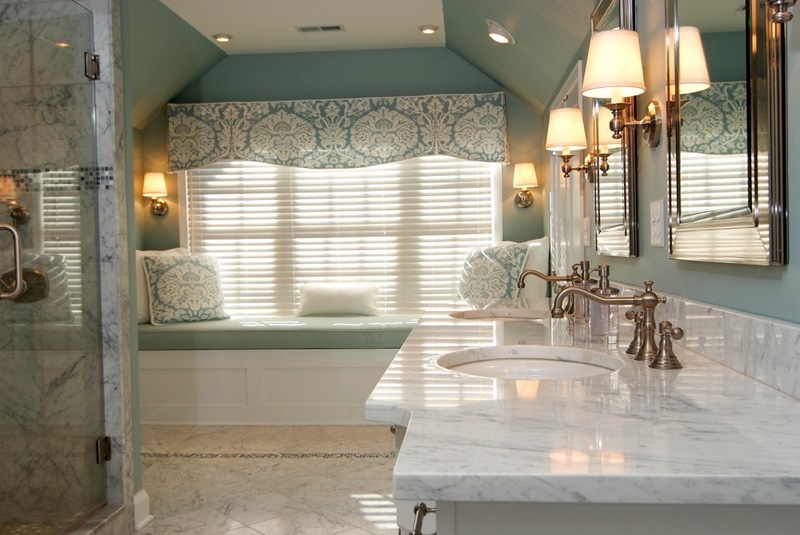 This custom bath was built in an unusable attic space. 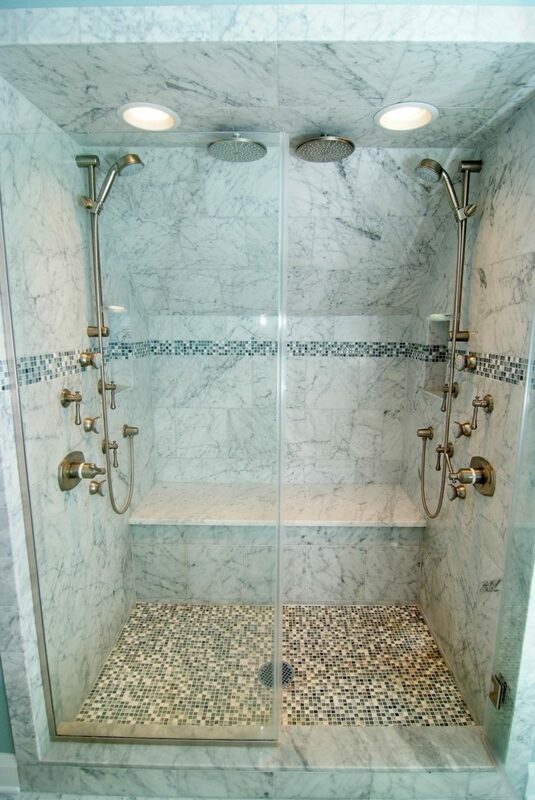 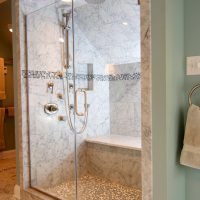 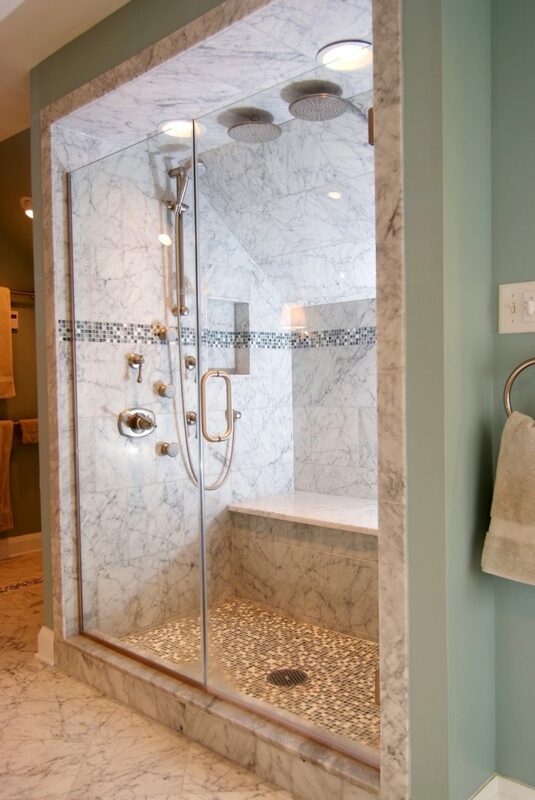 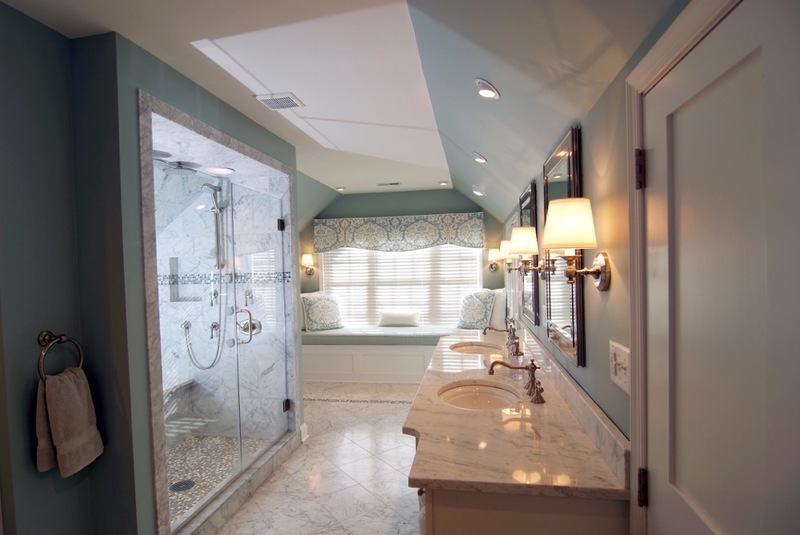 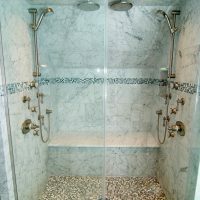 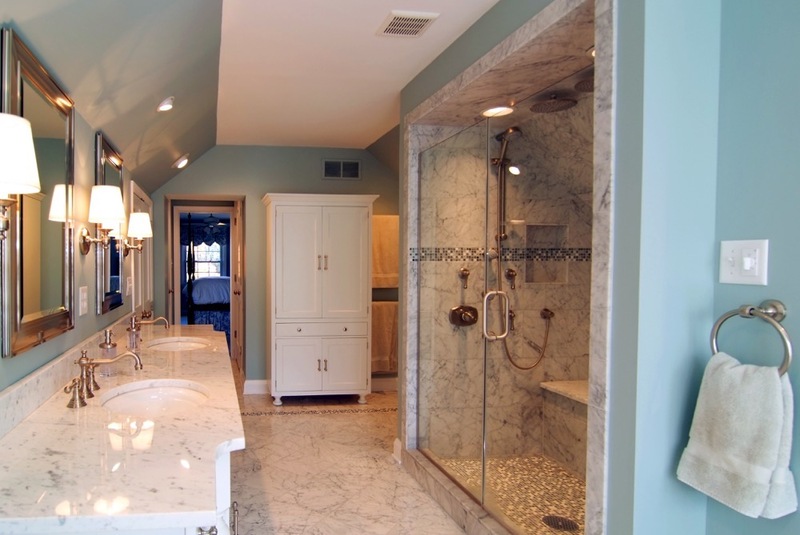 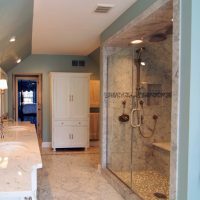 This bath features Carrera marble tile, Woodmode cabinetry, Grohe body sprays, rain showers and heated floors. 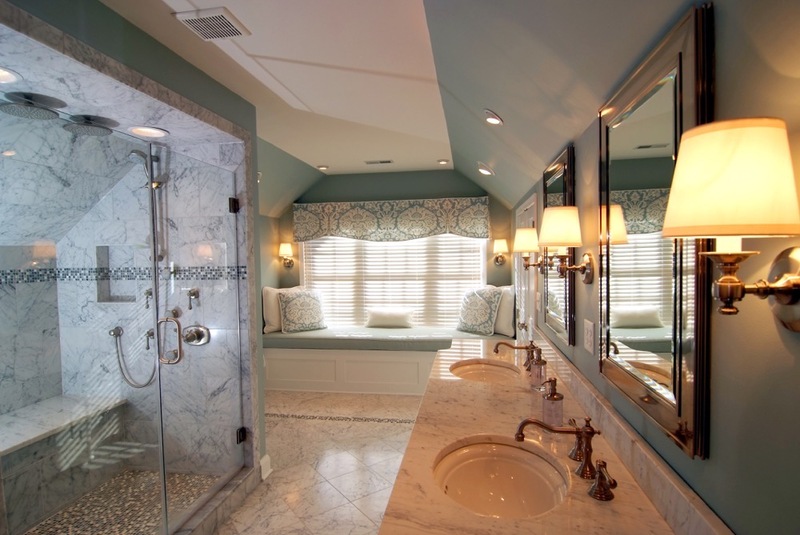 What a great place to relax after a long day!